Southwoods offers brand new 1, 2 & 3 bedroom homes with modern finishes, brand new and top of the line appliances. 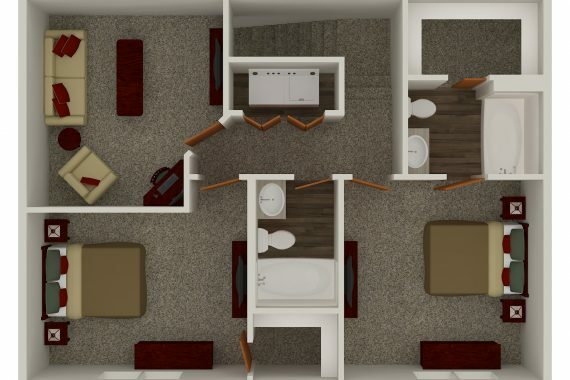 All homes have a double stall attached garage, spacious bedrooms, walk in closets, and a washer/dryer. You will love calling Southwoods your home! Call and schedule your private showing today! See more details on Southwoods here. You can also follow Southwoods Townhomes and Villas on Facebook!